What is really behind a Facebook Like? Comments Off on What is really behind a Facebook Like? As we go through life, naturally we all ‘like’ to be liked. Being liked is determined by what we say, how we act, the views we share and the image we portray. This is no different in the digital world we live in today. We all know that it feels good when our ‘friends’ like or comment on a post to show their approval…otherwise why do we continue to do it? That feel good factor comes from the knowing that people have an interest in you and your activities in life. Businesses that gain likes on a Facebook page are in a privileged position as these people are giving their permission for that business to be a part of their social life. 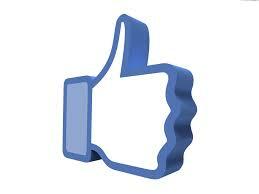 By liking a page, a person is asking for information, updates, offers etc on a regular basis from you. It is therefore your obligation to provide your followers with exactly that. Many businesses out there have a social presence but lack a real social purpose. Social media holds a massive opportunity for you to reach out to new and existing customers through various channels. Social media also allows you to market your product/service outside of the typical Mon – Fri, 9-5. It gives you the chance to get closer to your customers and engage with them on a personal level. Be consistent – Regular updates are necessary to remind your customers that you exist. Engage with your audience – Ask questions and answer queries professionally and promptly. Be human – Using a corporate tone or using business lingo won’t appeal to the majority. Analyse – Monthly, weekly and even daily analysis is important. If it isn’t working, change it. If you would like some add some purpose to your social presence, require social media training or need your entire online profile managed, get in touch with So Social Marketing and we will be more than happy to lend a hand.